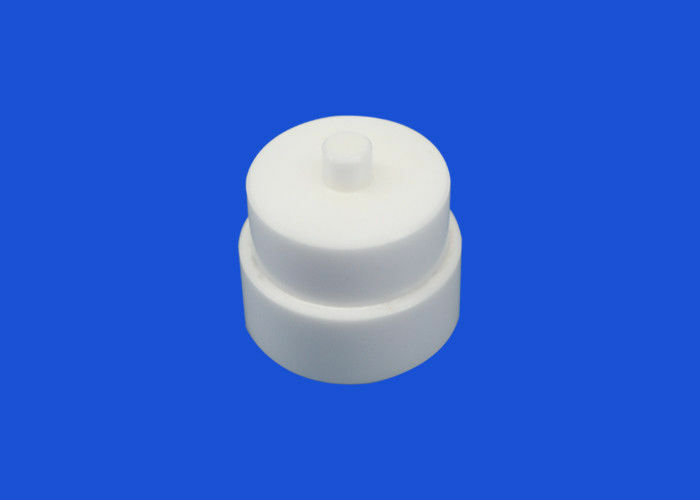 Our ceramic products are mainly used in the industrial field of precision ceramic structural parts, ceramic materials using high-strength zirconia (yttrium stable/magnesium stable/cerium Stable), alumina (97/99/99.5/99.7/99.9/99.99) material. Zirconia ceramics are formed by dry pressing, isostatic pressing, injection molding, hot die casting molding, hydroforming, injection molding, plastic extrusion molding, colloidal solidification molding, etc.The most widely used is injection molding and dry pressing molding, and the highest density of products is isostatic pressure molding. 3. Post-treatment of the product. In order to make the injection molding go smoothly and ensure the quality of the product, a series of preparations such as raw material pretreatment, cleaning the barrel, preheating the insert and selecting the release agent are required before production. The injection process generally includes: feeding - plasticizing - injection - cooling - demoulding. Since injection molding is a batch process, quantitative (constant volume) feeding is required to ensure stable operation, plastic plasticization is uniform, and finally high-quality plastic parts are obtained. The molding material is heated, compacted and mixed in the barrel of the injection machine to convert from a loose powdery or granular solid to a continuous homogenized melt. The plunger or screw starts from the metering position in the barrel, and a high pressure is applied through the injection cylinder and the piston to pass the plasticized plastic melt through the barrel. The nozzle at the front end and the gating system in the mold are quickly fed into the closed cavity. The injection can be subdivided into three stages: flow filling, pressure filling and backflow. When the plastic of the casting system is frozen and the pressure is kept, it is no longer necessary to keep the pressure. Therefore, the plunger or the screw can be returned, the pressure of the plastic melt in the cylinder can be removed, and the new material can be added, and the cooling water can be introduced into the mold. Cooling medium such as oil or air, further cooling the mold, this stage is called cooling after the gate is frozen. In fact, the cooling process begins when the plastic melt is injected into the cavity, which includes the period from filling, holding, to demolding. The plastic part can be opened by cooling to a certain temperature, and the plastic part is pushed out of the mold by the pushing mechanism. 2. Humidity control: Stabilize the color, performance and size of the plastic parts. Can not make products with large size specifications.